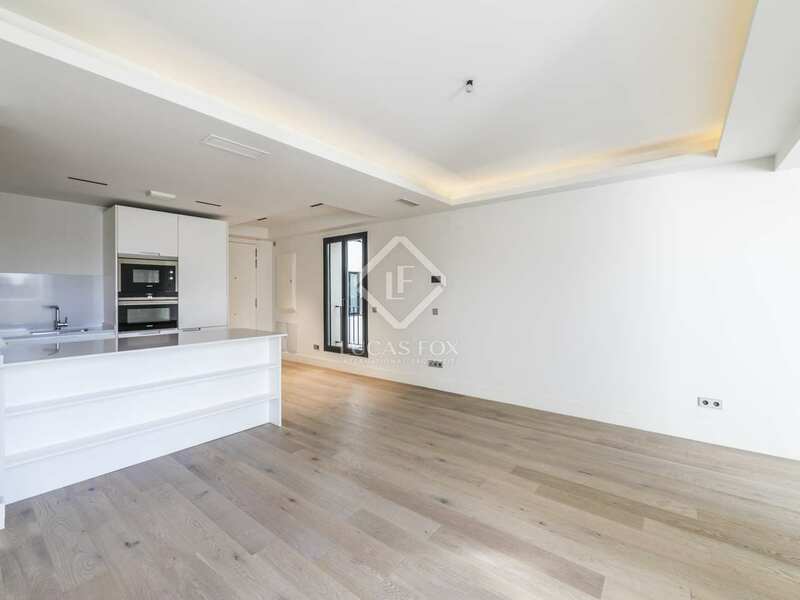 This property is part of the Recoletos-13. 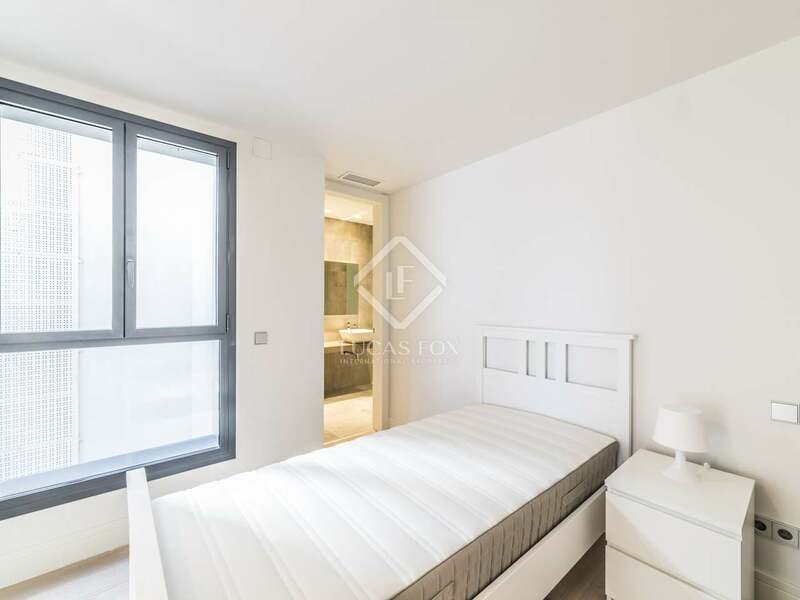 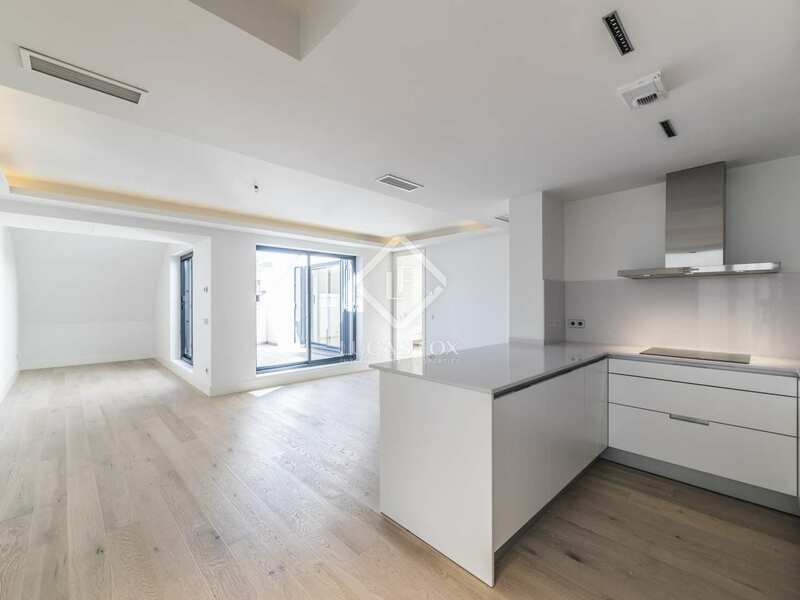 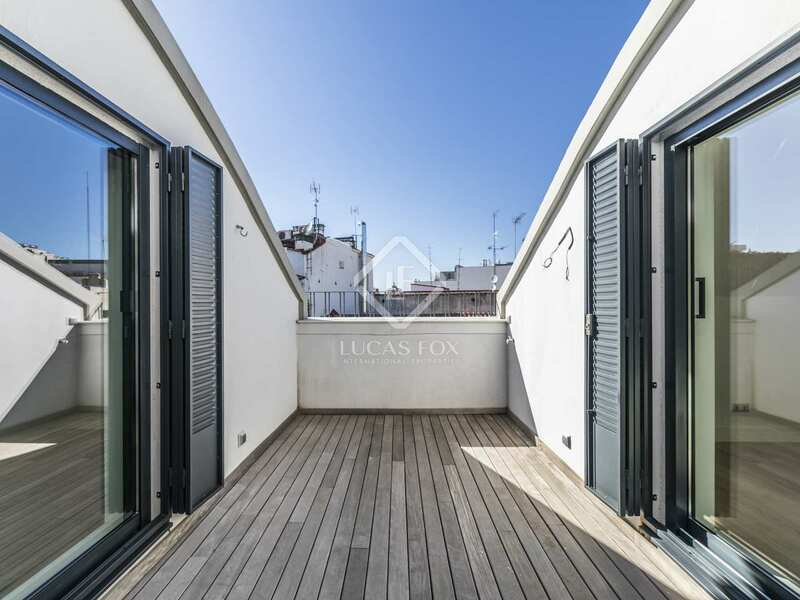 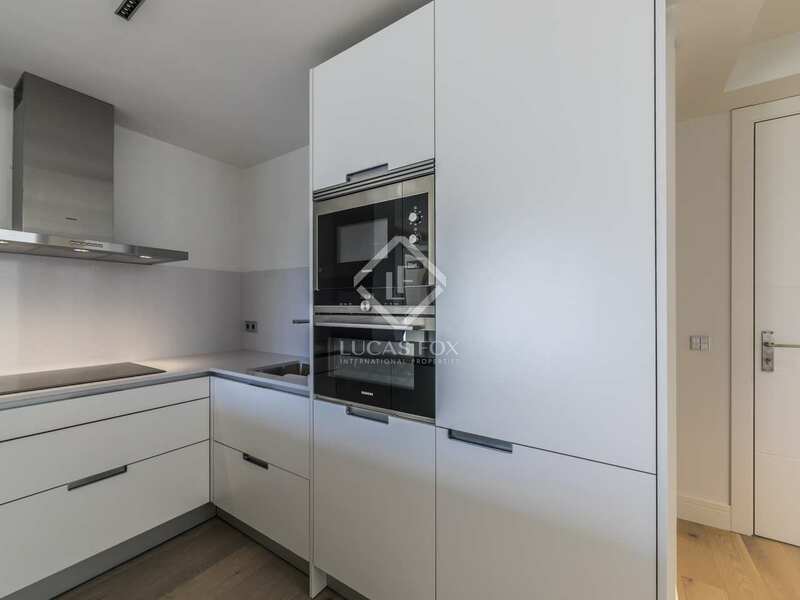 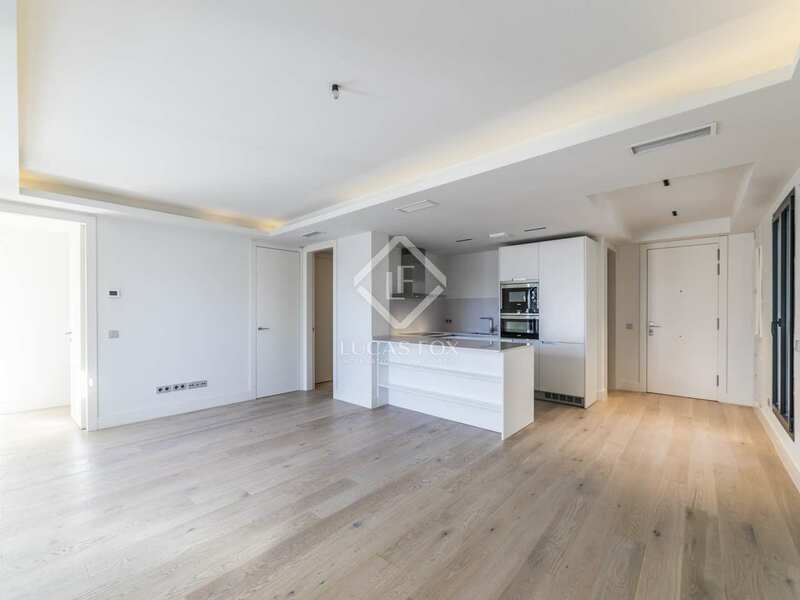 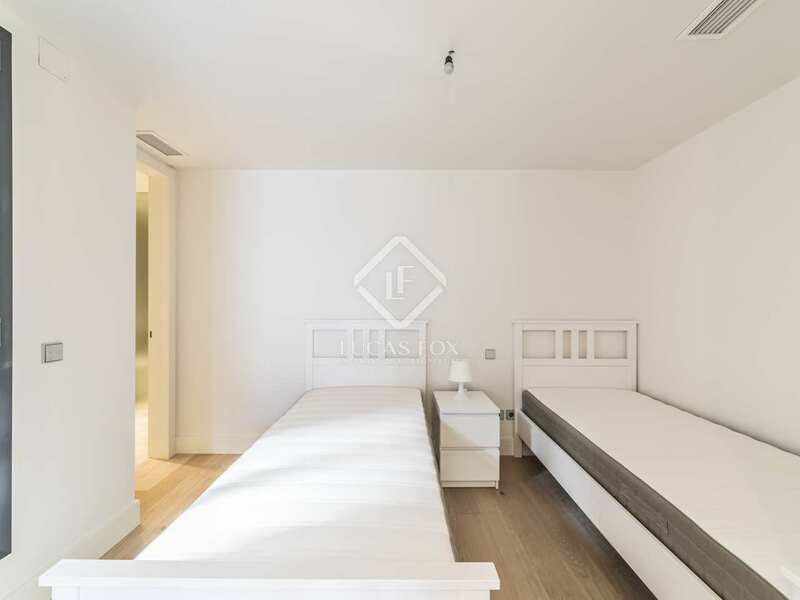 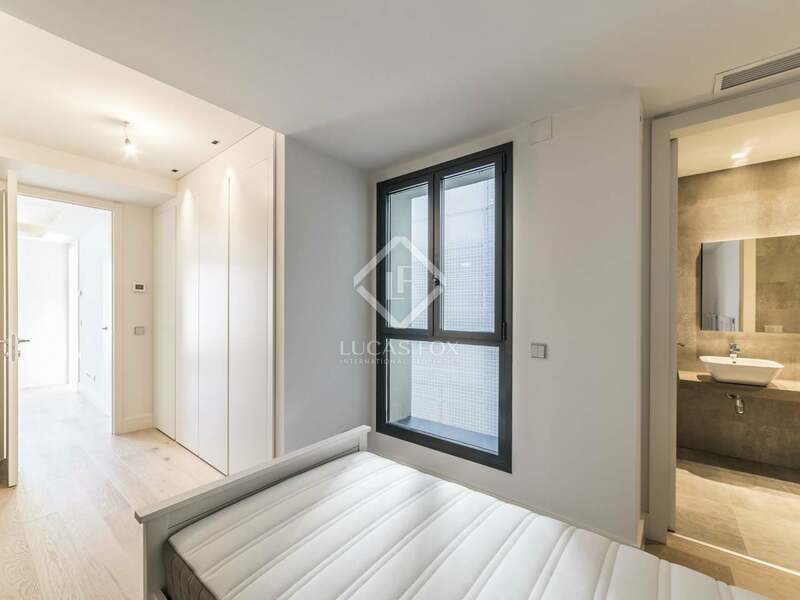 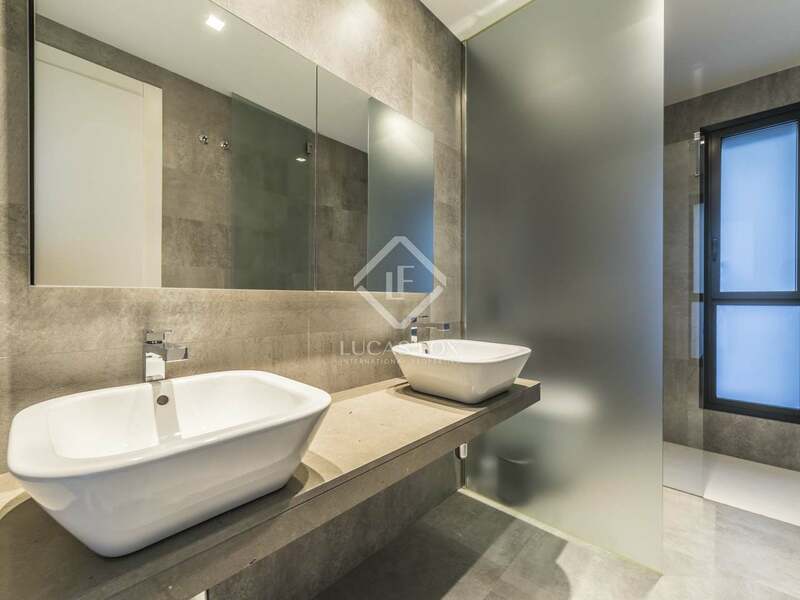 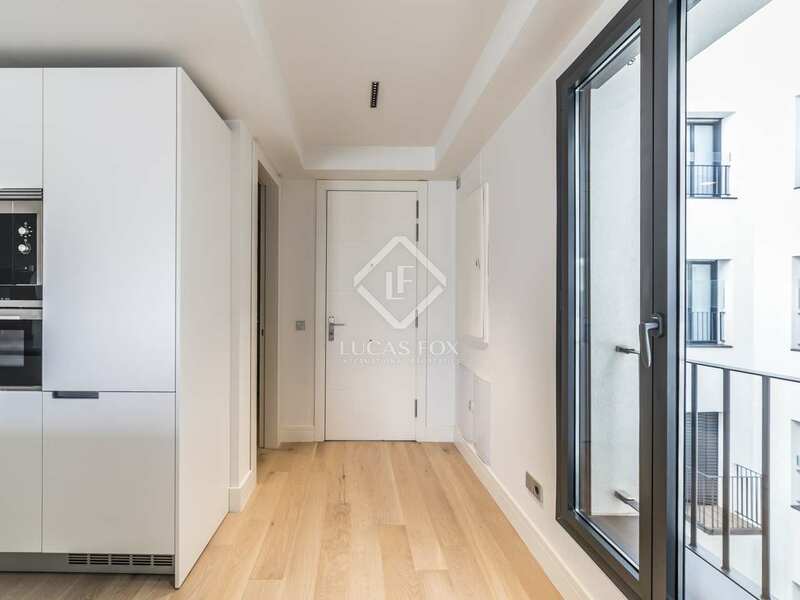 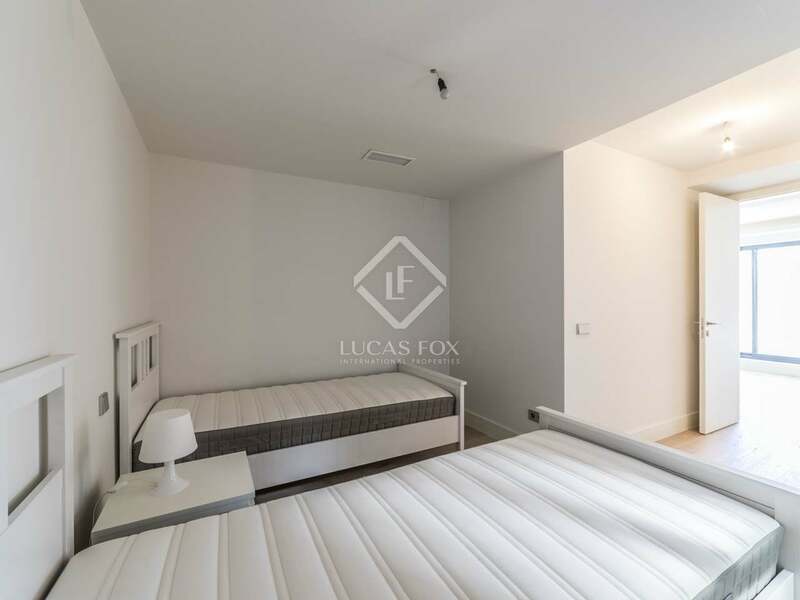 2 excellent contemporary apartments left for sale in this renovated building with communal facilities on the popular Calle Recoletos. 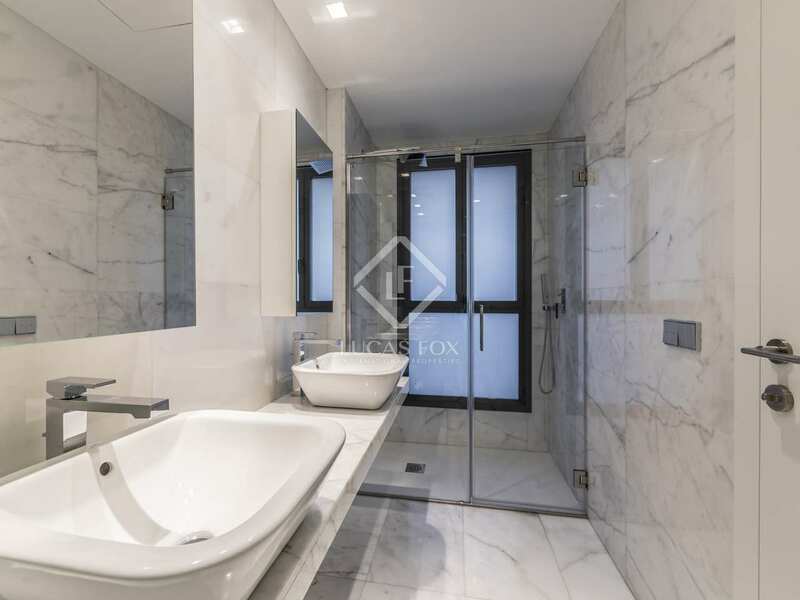 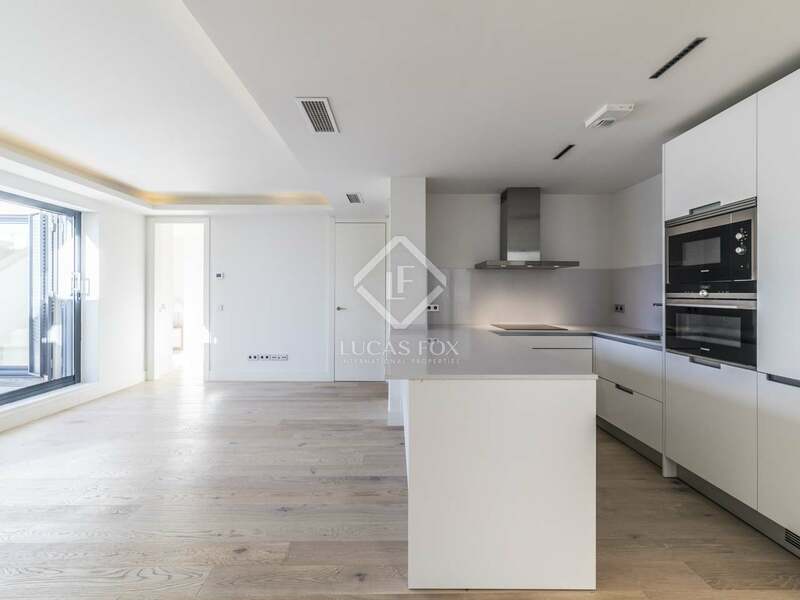 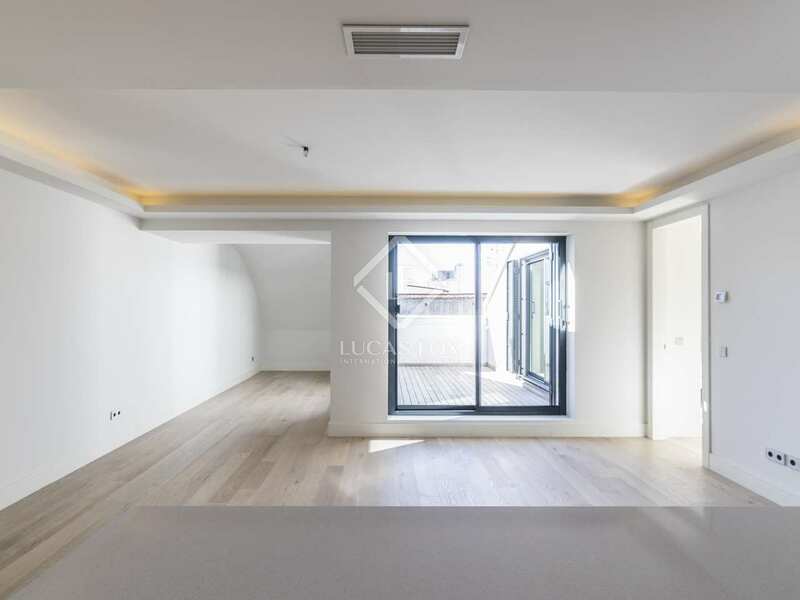 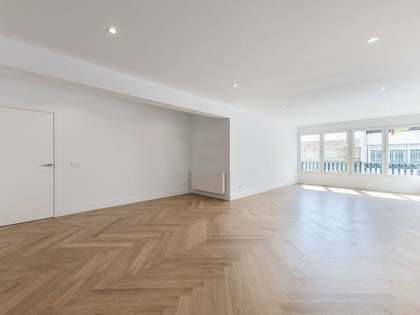 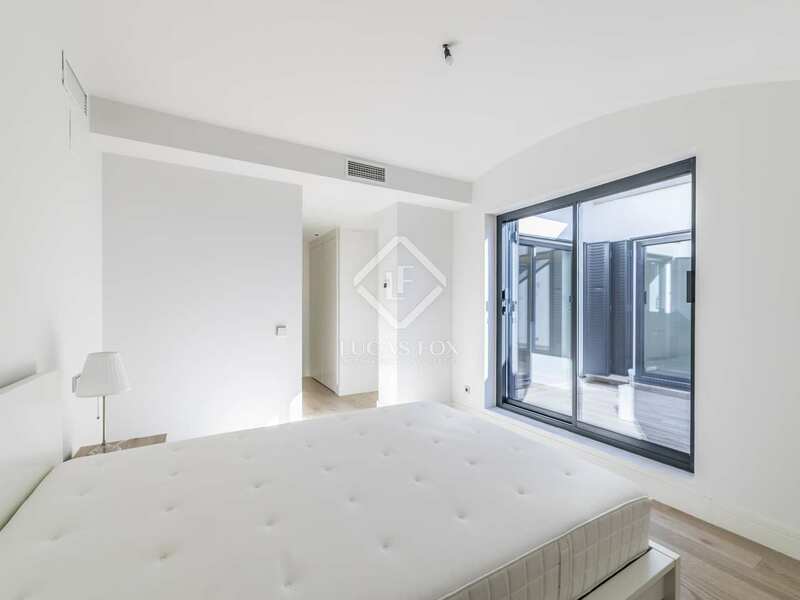 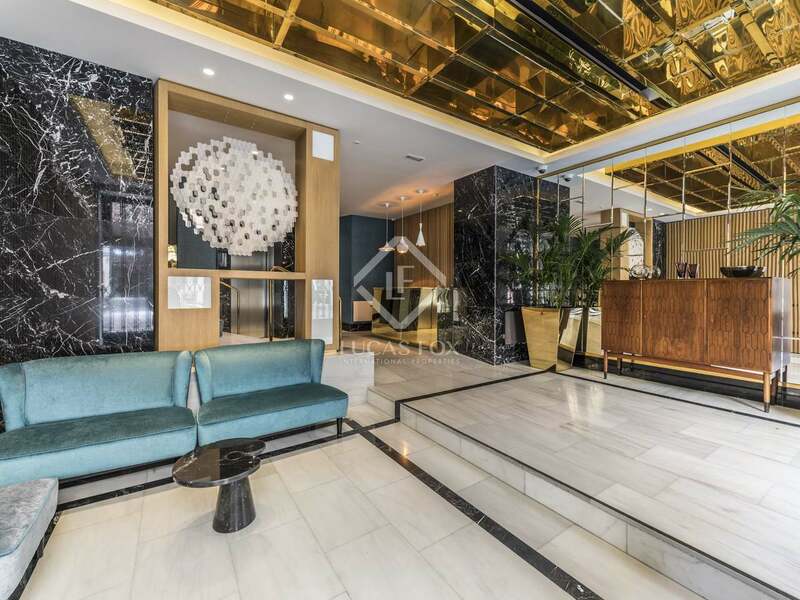 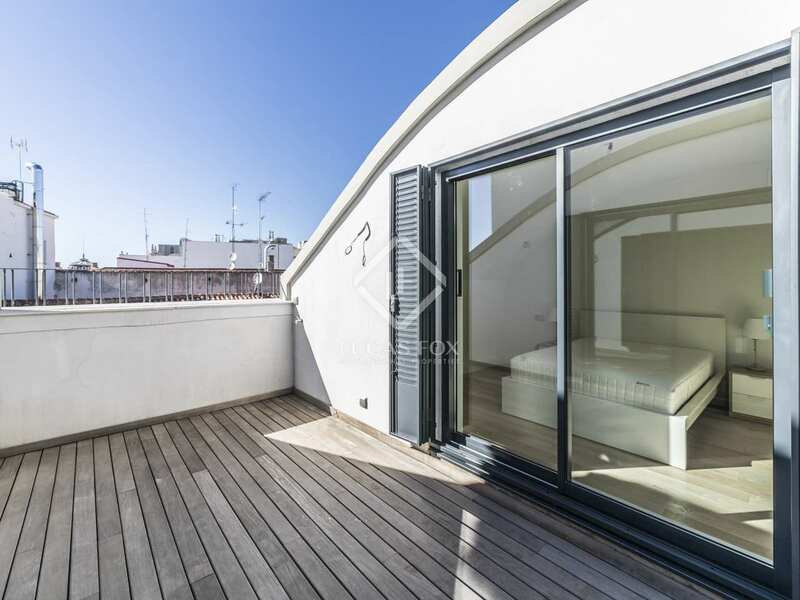 Fabulous opportunity to acquire a lovely renovated penthouse apartment with a terrace in a highly sought after area of Madrid. 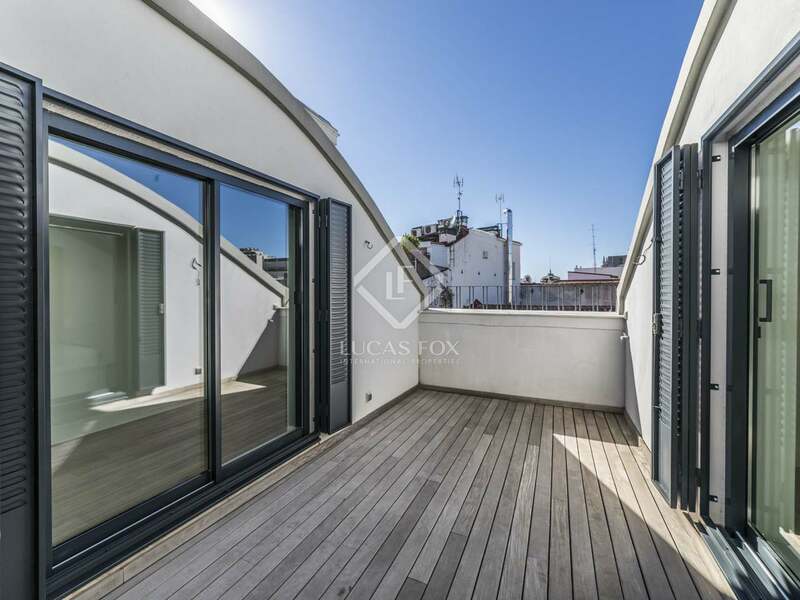 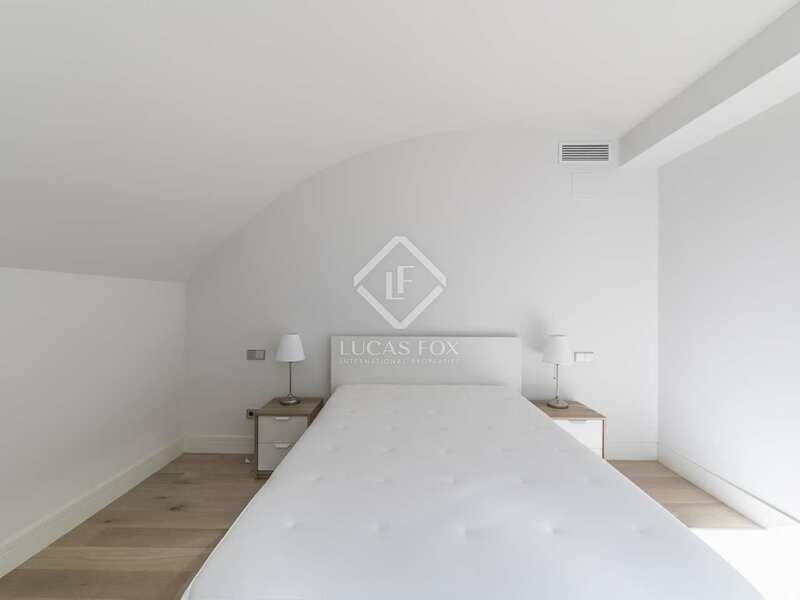 Sunny penthouse in a 1920's building which maintains the original façades but has been fully refurbished, located on Calle Recoletos. 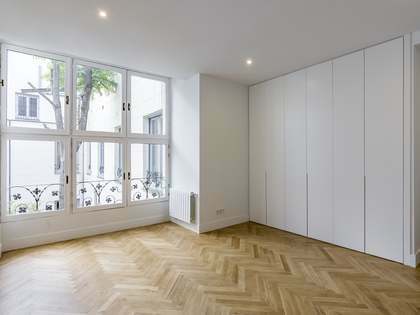 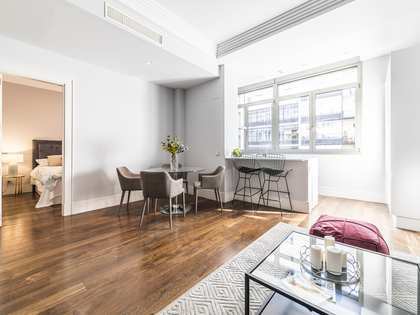 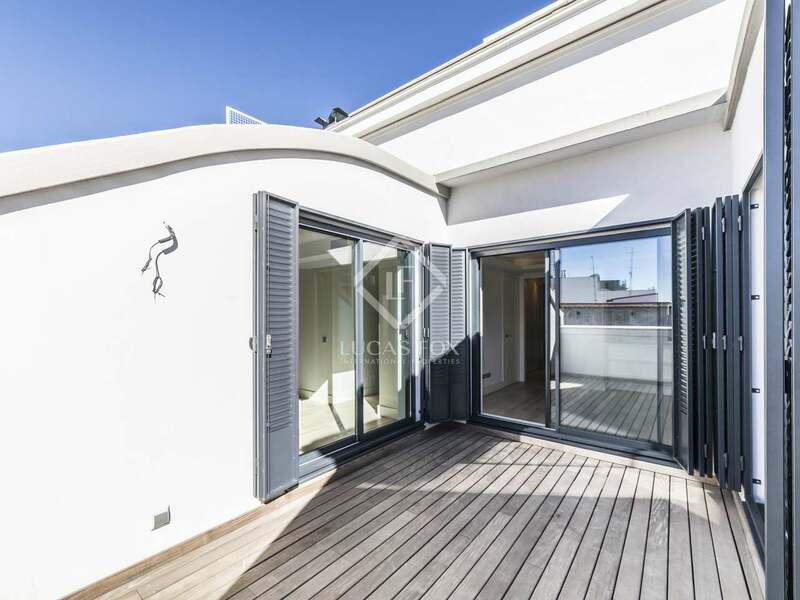 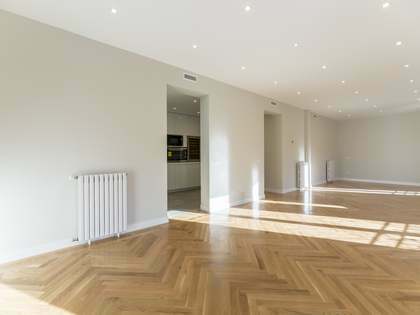 The apartment, which measures 120m² with a 14 m² terrace, was fully renovated very recently and is located in a quiet area of the centre of the city, surrounded by wonderful architecture. 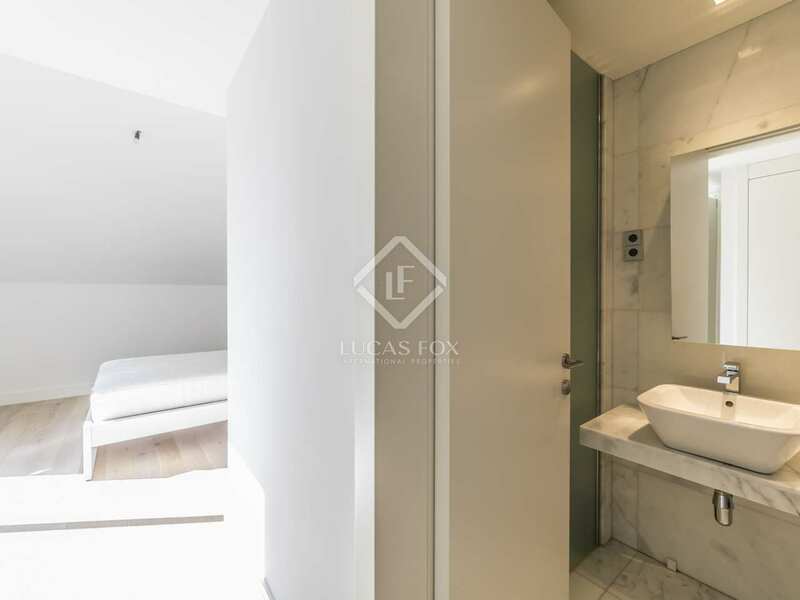 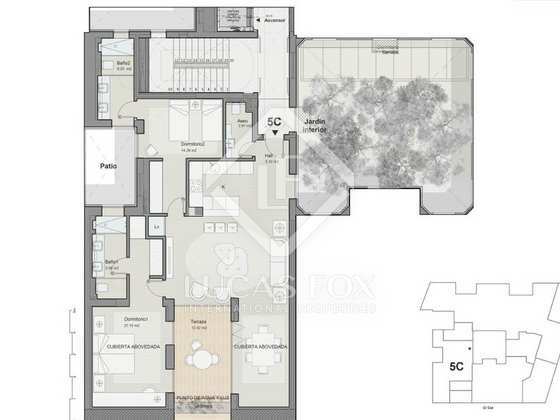 On entering the apartment, we find a bathroom to the right and a big open space that contains the living room and the kitchen. 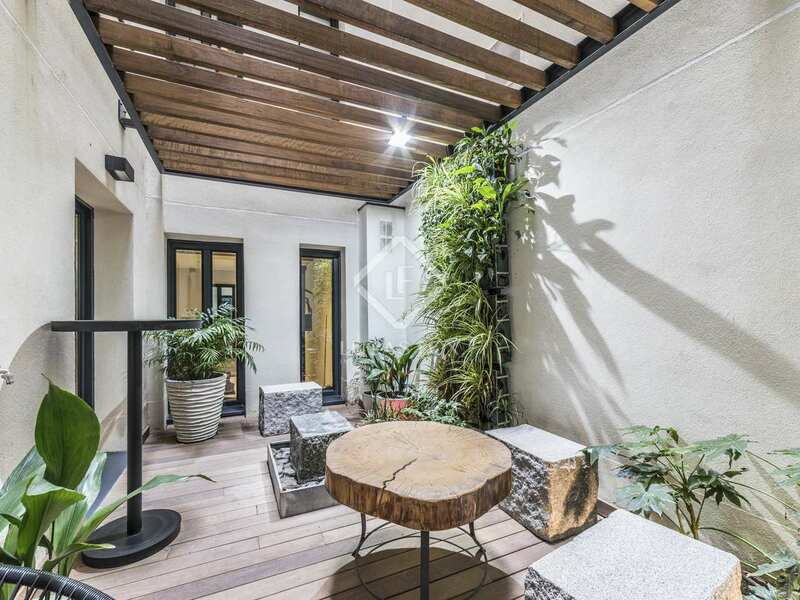 From the entrance you can also see the terrace, which acts as a courtyard that floods the apartment with natural light and opens it to the exterior. 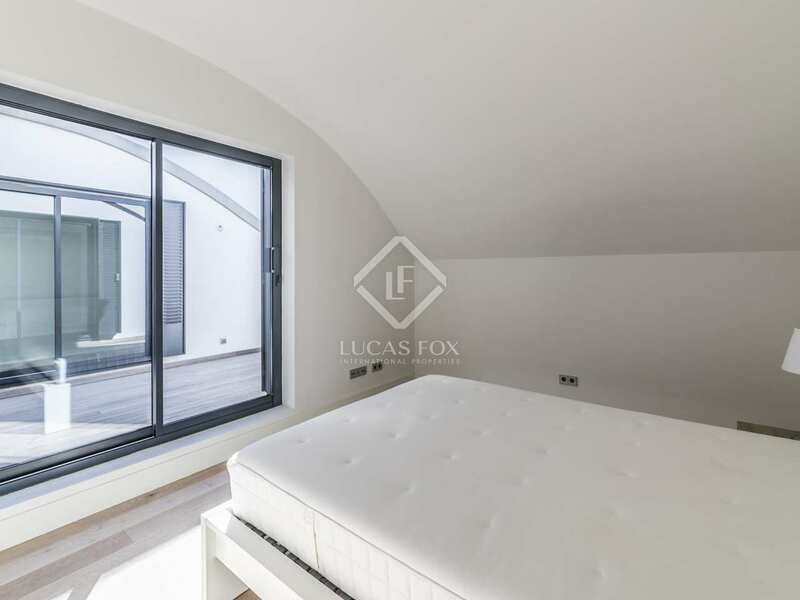 The master bedroom is areached via the living room and has exterior windows. 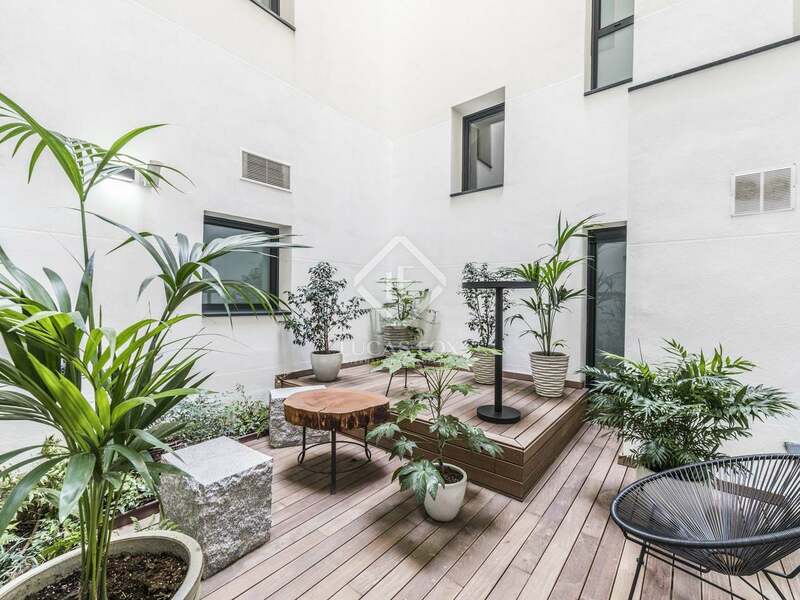 Bordering the kitchen we find a corridor that ends with the second bedroom, facing an inner courtyard. 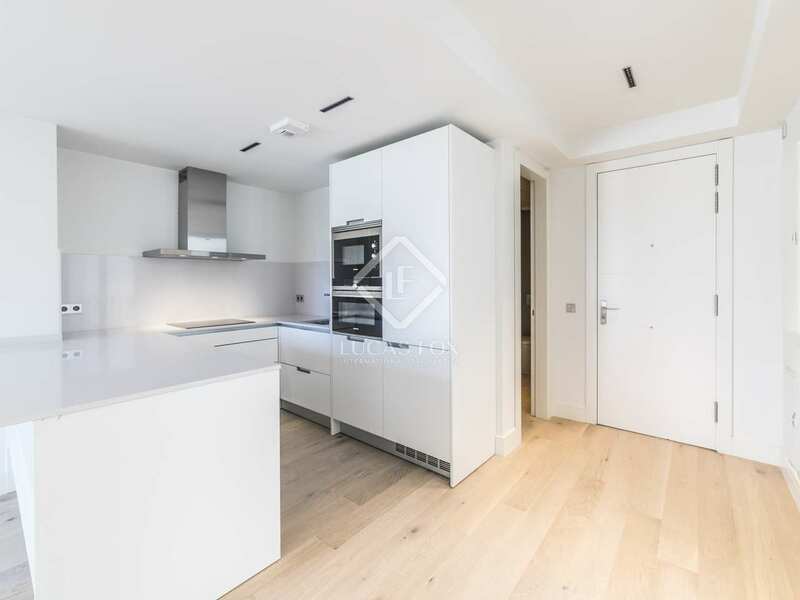 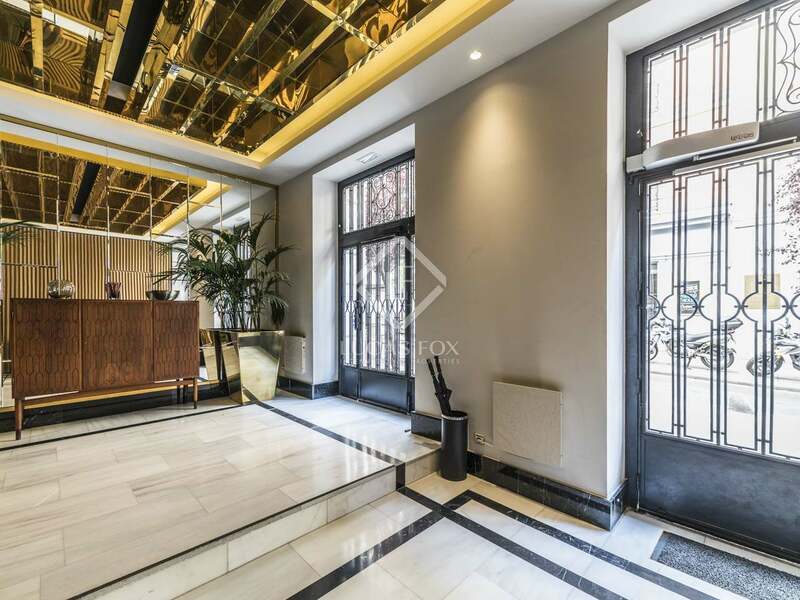 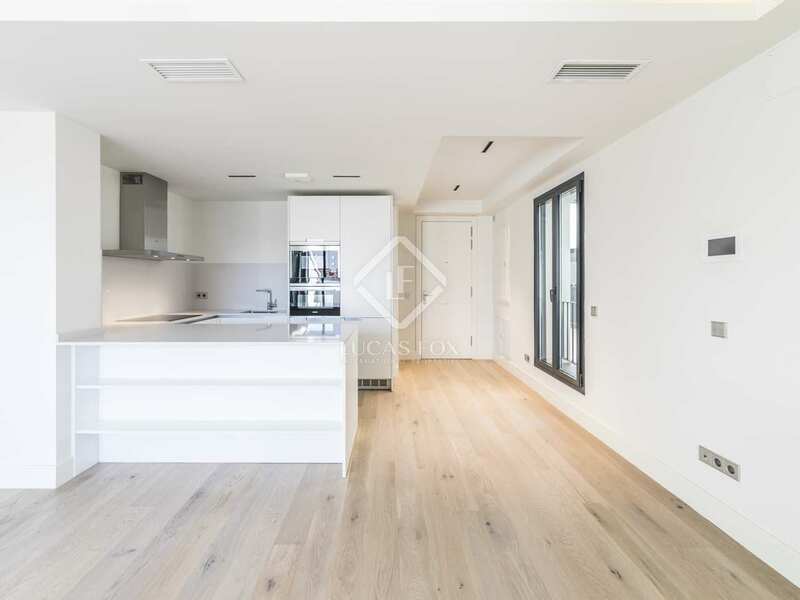 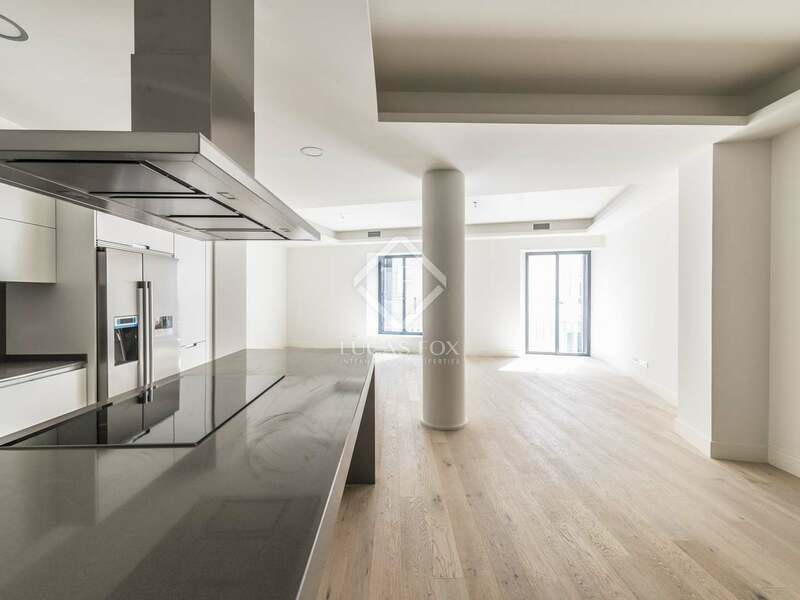 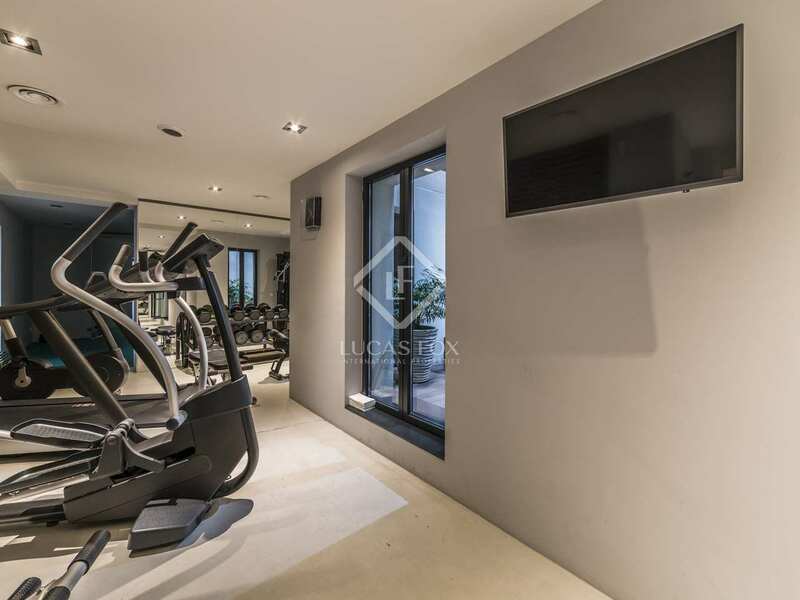 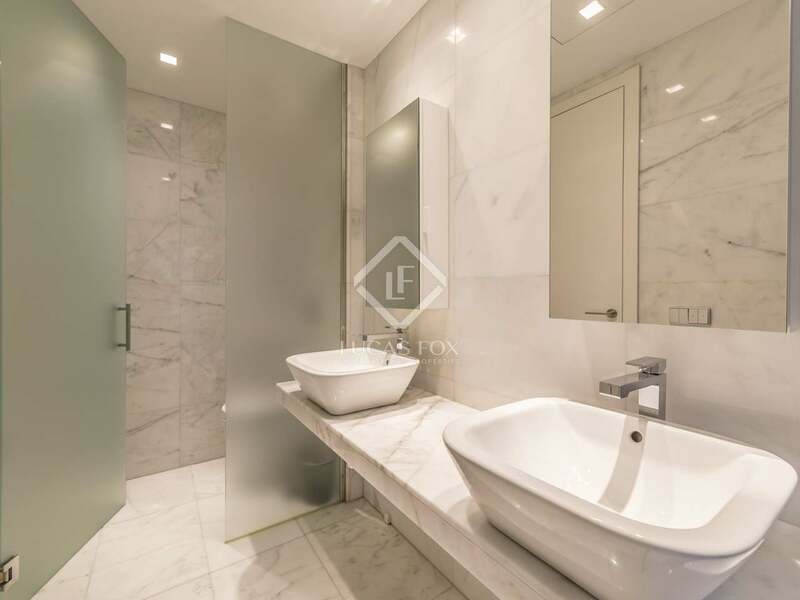 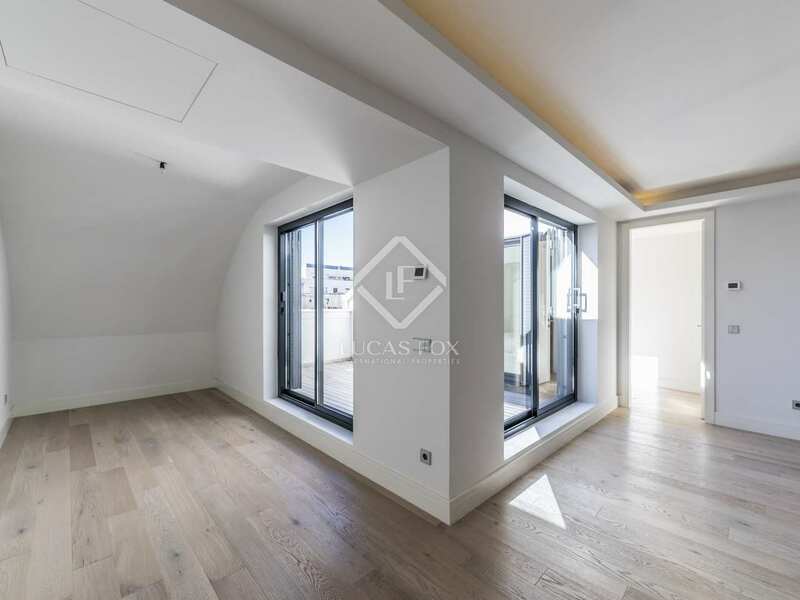 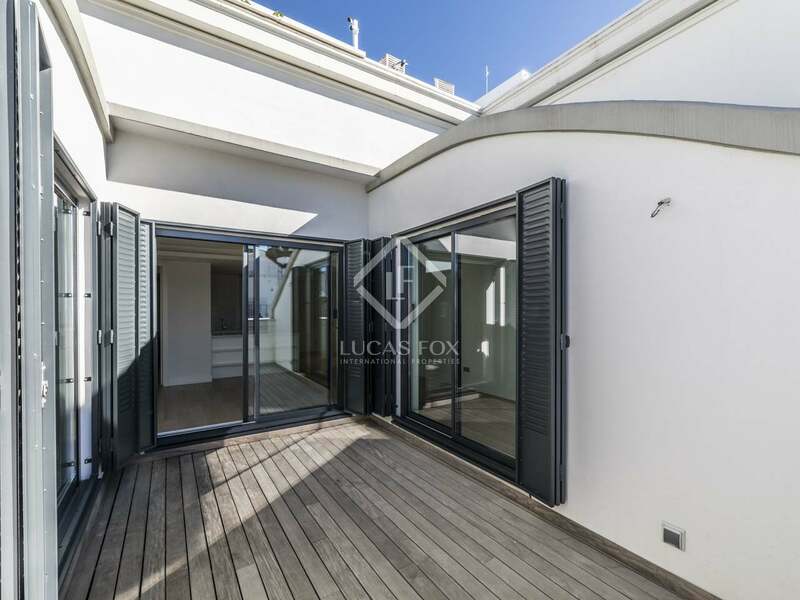 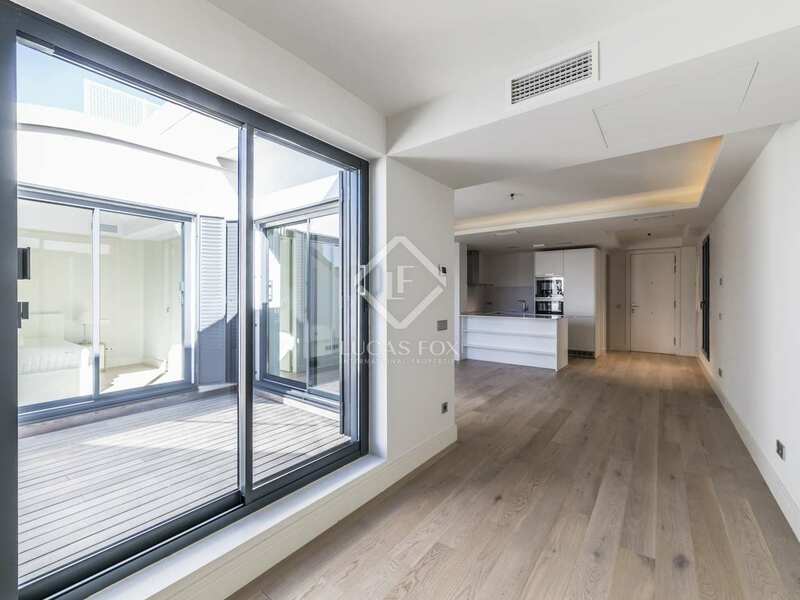 The property enjoys a 14 m² terrace which is quite a luxury in such a central city location. 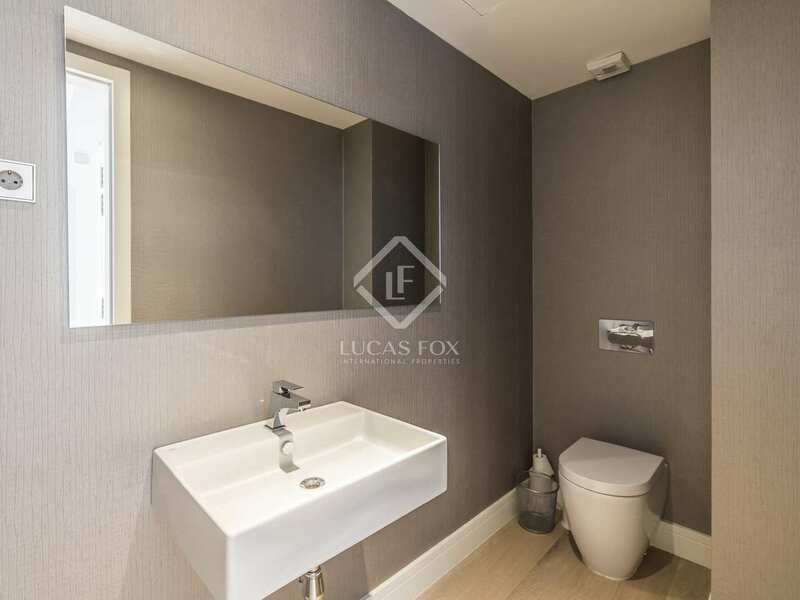 There are 3 bathrooms, 2 of which are en-suite and they, along with the kitchen are fully equipped with all the necessary appliances. 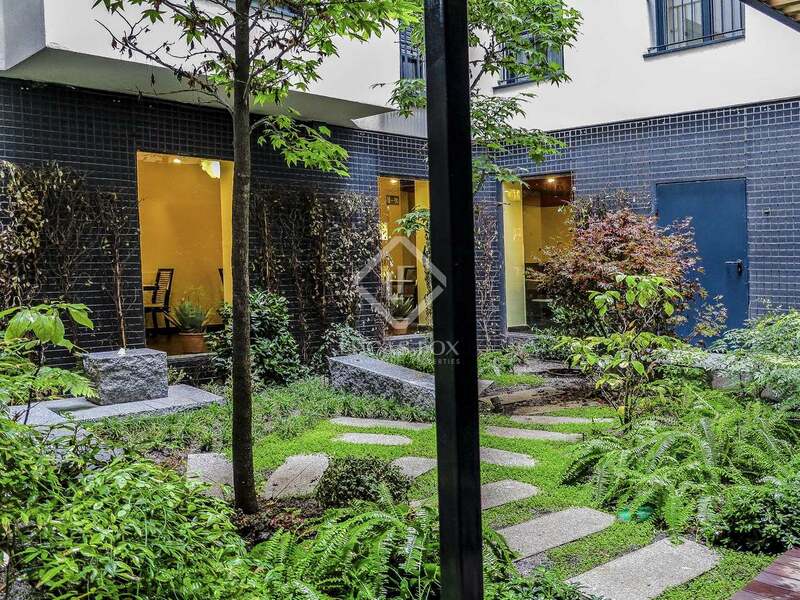 The building has an inner courtyard featuring an Asian-inspired garden, with water and stone benches. 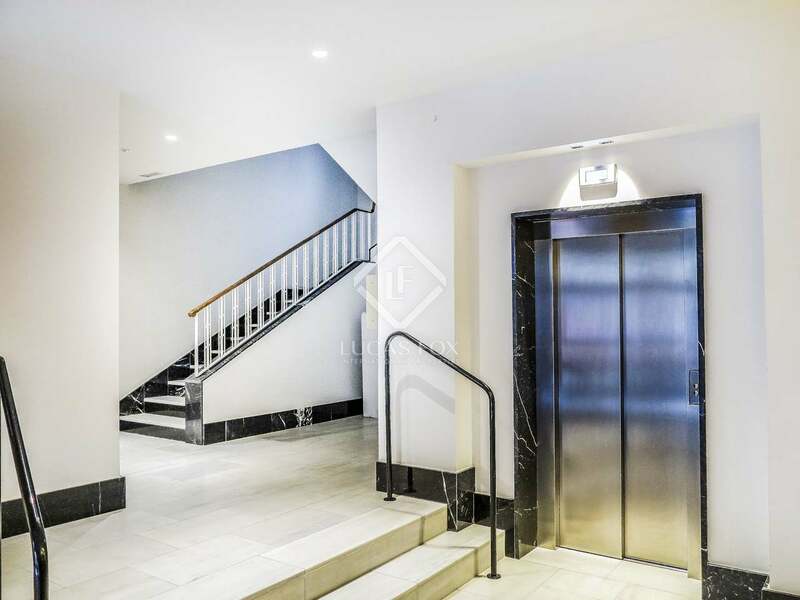 There are also numerous lifts in the building, a concierge service, gym and a venue for private celebrations. 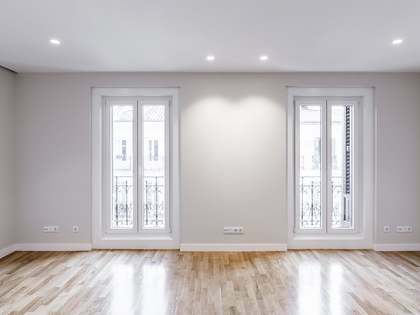 Although this property does not come with a parking space included, there are many available for rent or sale in the area. 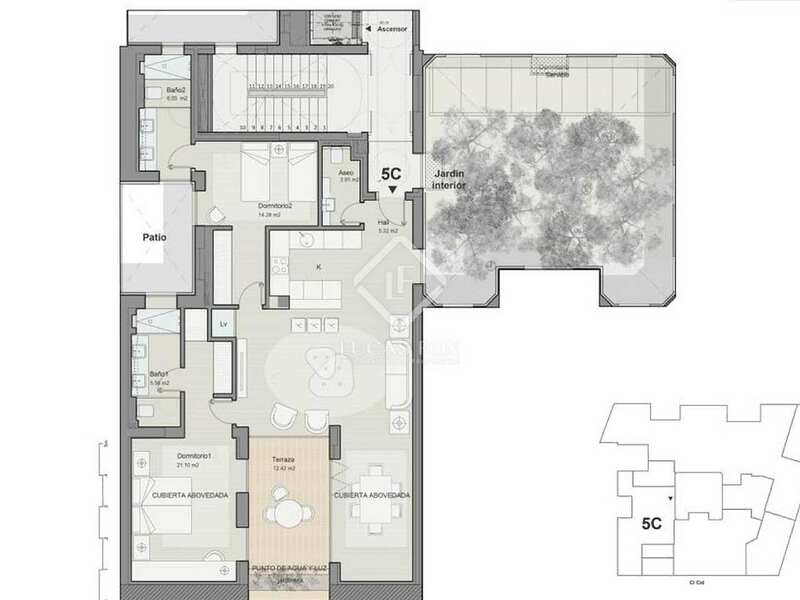 A fabulous investment opportunity in an area that is in high demand. 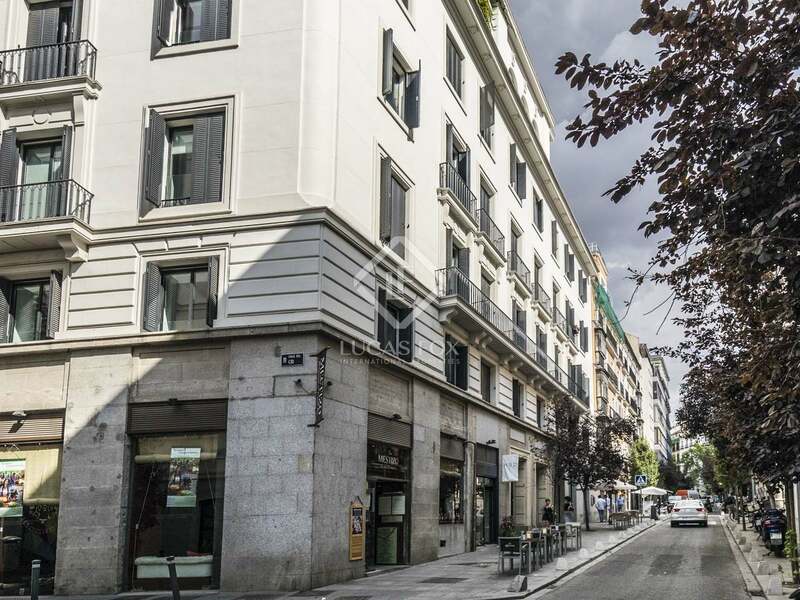 It is located in Calle de Recoletos, between Calle Cid and Calle Serrano. 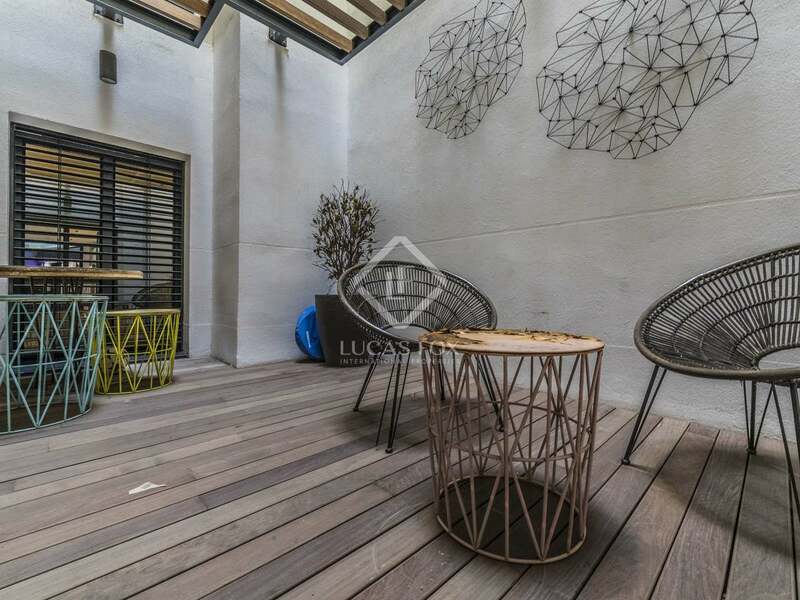 Recoletos is one of the best areas in town, characterised by its beautiful architecture and tree-lined streets. 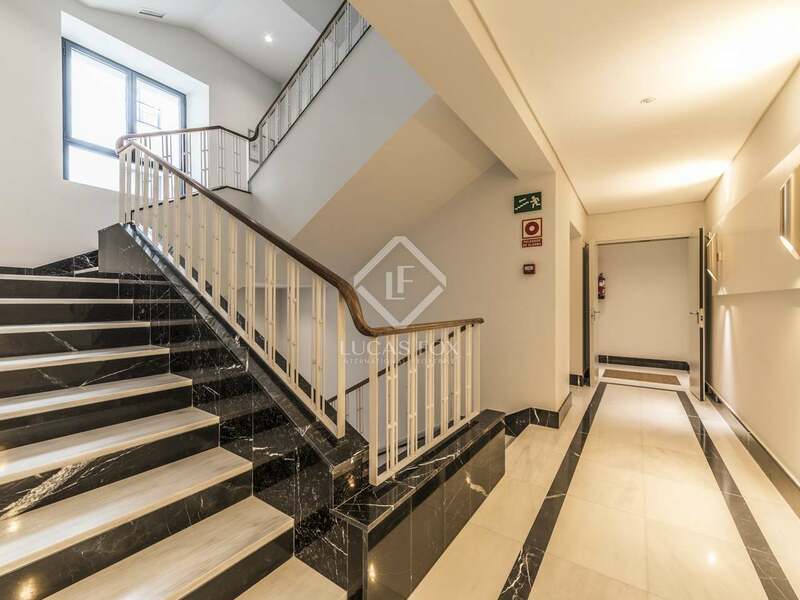 It is right next to Plaza Cibeles, the City Hall, Banco de España, el Palacio de Godoy and other institutional buildings. 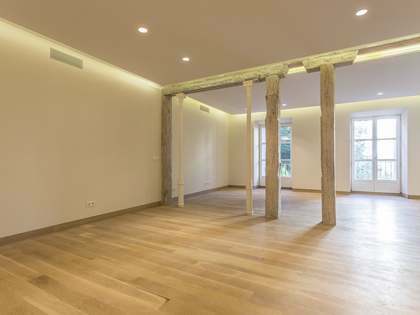 There are several monuments nearby, such as the Puerta de Alcalá. 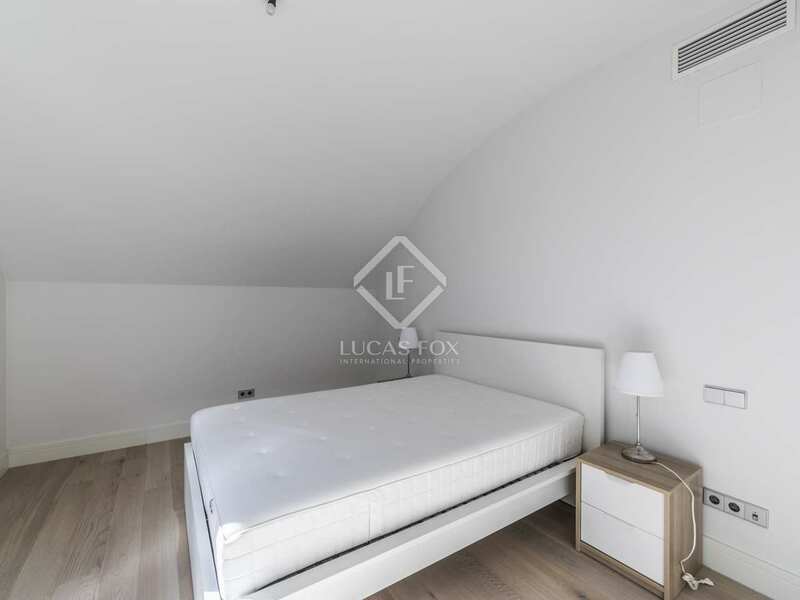 Retiro Park is within walking distance from the property too.